Happy Easter and hope you had a wonderful Scrappy Long Weekend. I was really inspired by the circle elements and the tag in the sketch. Although i only had 1 photo, i have taken 2 tags and layered them on either side of photo to achieve a similar look. I have added some thread with a peg in the right bottom corner of the photo strip and some circle element at the top left. 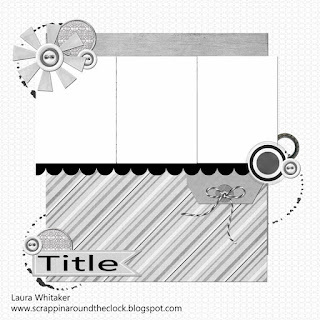 I have torn the bottom edge of the photo strip instead of using a scallop - i just liked the casual look that it added added and instead of using a middle pattern paper piece like the sketch called for, i decided to make my own background! 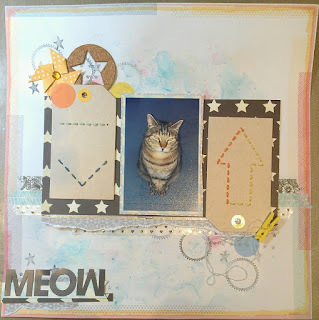 I used Gelatos and the "packaging technique" to add colour to the background and then did some stamping with various shapes and black Stazon ink. I have also done some hand-stitching on the tags to add a bit of colour to them and some "different" texture. Have a nice scrappy day! Great job Julie, love the mixed media work Thank you for joining us at Stuck?! Sketches! k! Great take on the sketch! 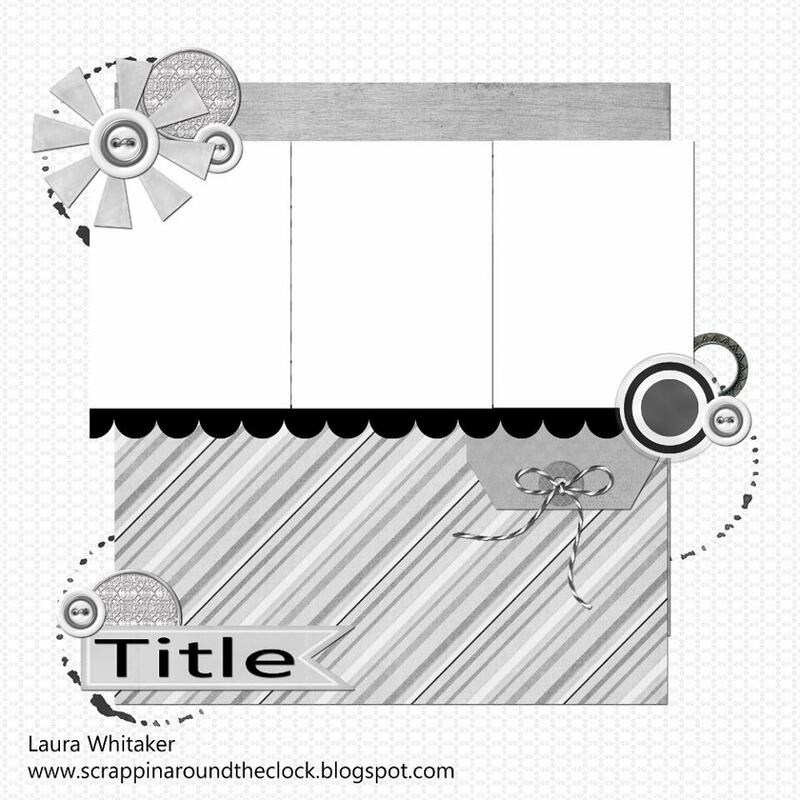 Fabulous background work and use of the tags! Thanks for playing along with Stuck?! Fabulous use of the tags, looks great. Thanks for playing along with Stuck? !